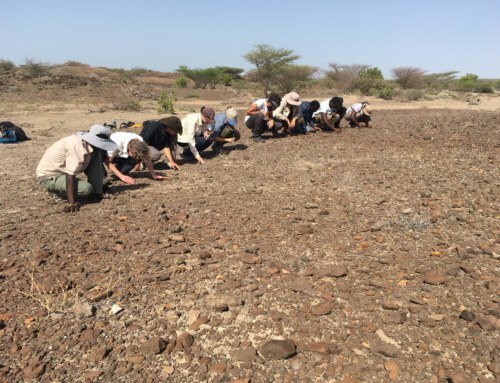 Hello from TBI-Turkwel! Monday marked the start of classes in the first module of the Fall 2014 TBI Field School, Ecology of the Turkana Basin, taught by Dr. Dino Martins. So far, students have learned about African savanna biodiversity, coevolution, mimicry, Rift Valley biogeography, vector biology, plant/pollinator interactions, evolutionary stable strategies, and lots more. 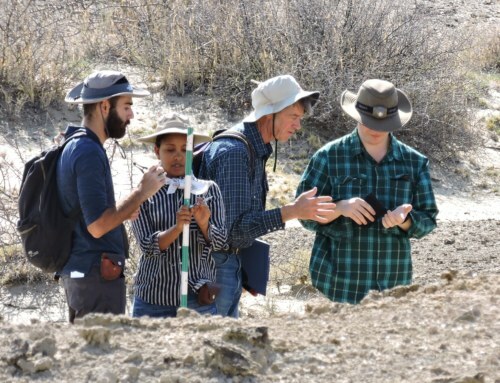 Many of Dr. Martins’ lectures are complimented by lab exercises in the field, allowing students to gain hands-on experience in observation, data collection, and data analysis. 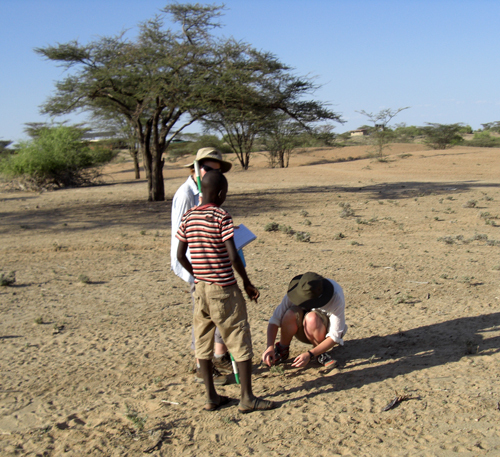 The first lab exercise of the module focused on the effect of grazing by goats and camels on the ubiquitous plant, Indigofera spinosa. 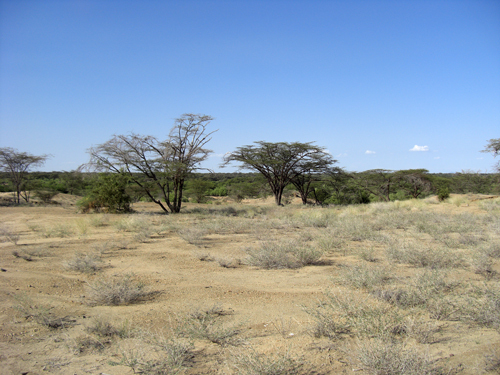 A view of the TBI-Turkwel campus, with I. spinosa visible as low-lying shrubs on the landscape. 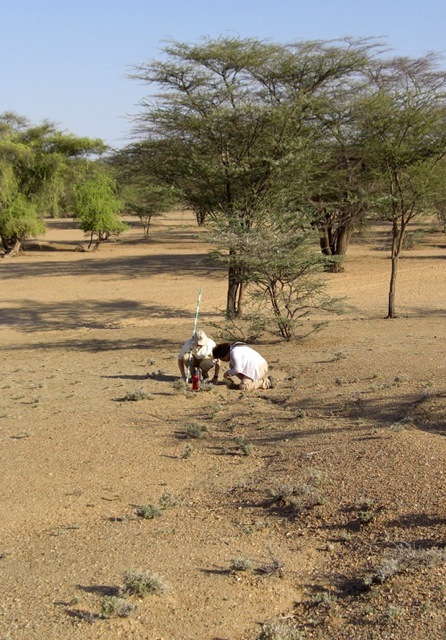 Goats and camels are kept as livestock by the local Turkana people. 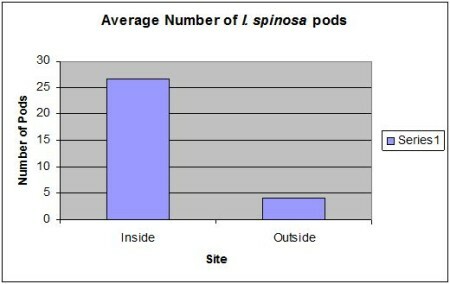 I. spinosa leaves, flowers, and, in particular, nutrient-rich pods constitute the majority of these animals’ diets. Goats and camels are free to graze outside the grounds of the TBI-Turkwel campus, but not inside. 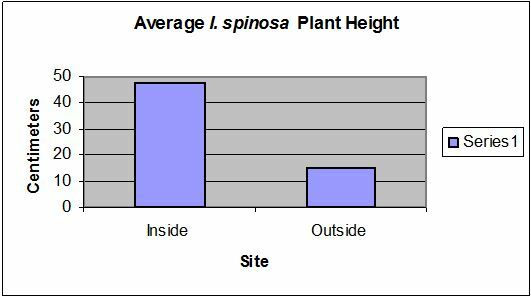 Students investigated the effect of this heavy grazing by measuring the height, number of pods, and number of flowers of I. spinosa plants both inside and outside the campus. 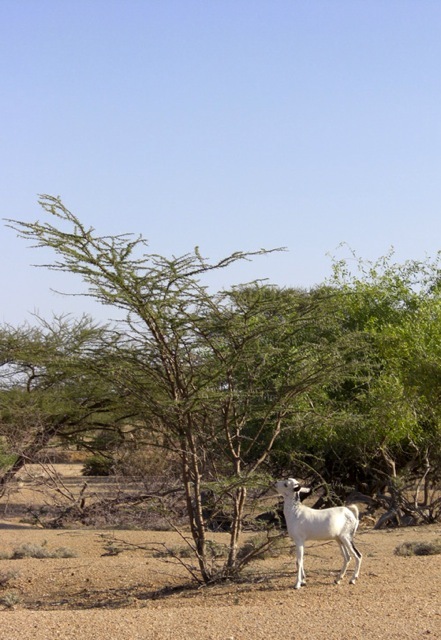 A goat grazes on Acacia tortilis. Data collection began inside the campus grounds, with students working in pairs. 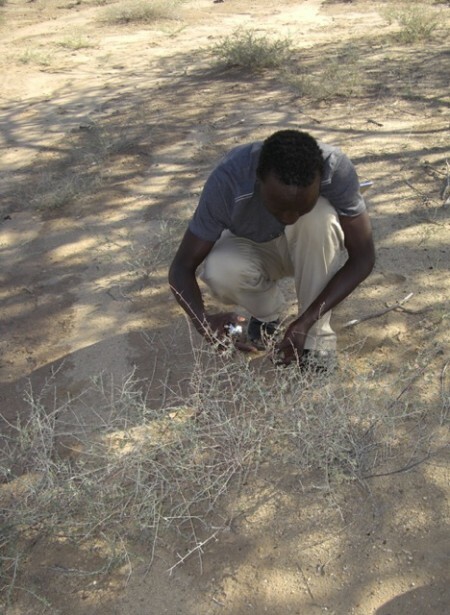 Each pair was responsible for gathering data for twenty I. spinosa plants. 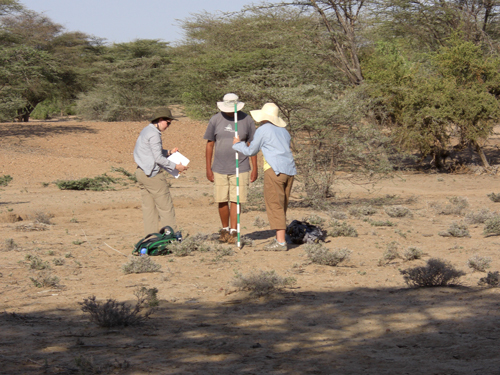 Stacey and Eloise measure the height of an I. spinosa plant. Megan, Sara, and Katie lean in to get a closer look. 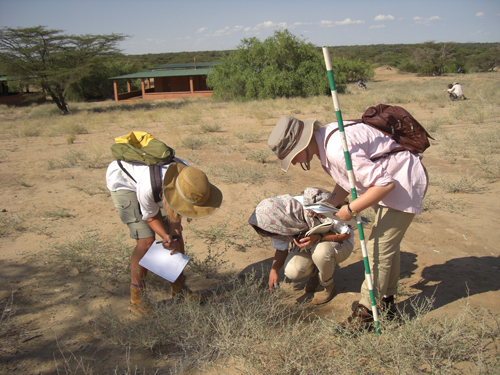 Students worked carefully to ensure that they were collecting accurate measurements, even though I. spinosa are very prickly! Peter deftly avoids I. spinosa‘s tiny spines while counting pods. Lucy and Letty working hard and admiring the view. 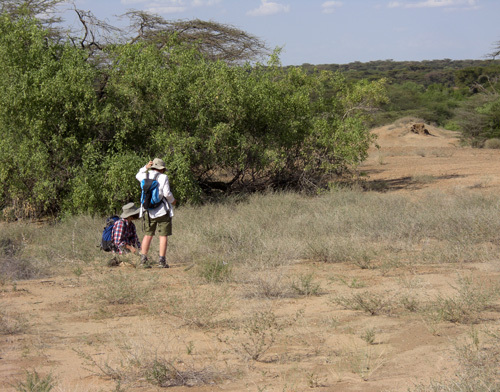 The following day, students ventured outside the campus to investigate the heavily grazed I. spinosa. 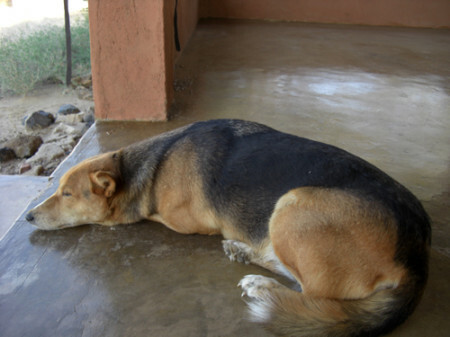 We were joined by Tom, TBI-Turkwel’s very own canine mascot. A few local Turkana came by and stopped to chat about the lab exercise. Some of the young boys wanted to help the students collect their data. Stacey and Eloise were lucky enough to be joined by the very curious and helpful James. Alex and Tricia receive guidance from Dr. Martins. Stacey shows James her lab notebook while Eloise counts pods and flowers. Ned and Melina get a closer look. Once each pair collected data for their assigned forty plants, students entered their data into a spreadsheet for analysis. 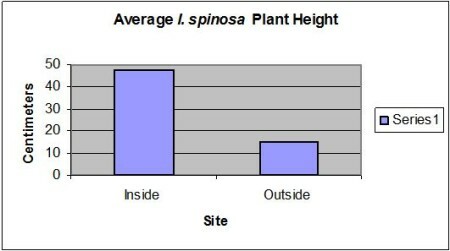 Indeed, I. spinosa plants inside the TBI-Turkwel campus are taller and have more pods than plants outside the campus. This lab exercise was a great introduction to both fieldwork methods and Turkana Basin ecology. Tom snoozing after a long afternoon in the field. 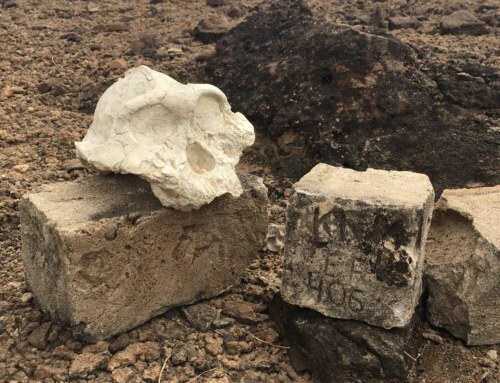 Check back soon for more about our time in the field and other adventures! 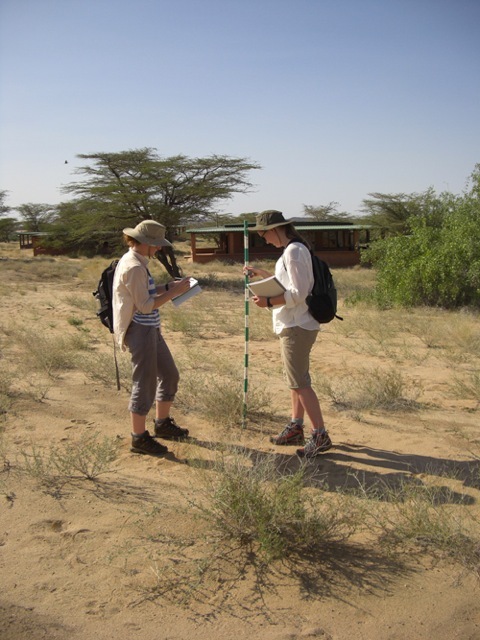 By Abigale Koppa|2017-01-04T18:04:53-07:00September 13th, 2014|Field Schools|Comments Off on Our First Lab Exercise!